Allied Hearing and Balance Center is a division of Allied ENT Specialty Center and part of Allied Physicians of Michiana. We also work closely with Allied Physical Therapy to assess balance issues. Our highly qualified audiologists provide a full range of diagnostic and rehabilitative services in a medical setting, including hearing assessment for all ages, hearing aid dispensing and service, real ear measurement, cerumen management, auditory brainstem response testing, otoacoustic emission testing, videonystagmography, vestibular rehabilitation, community hearing screenings, tinnitus evaluations, balance screenings and assistive listening device dispensing. Our hearing connects us to the world and the people around us. Some even say hearing is more important than vision, especially for personal connections. This is famously summed up in a quote by Helen Keller; “Blindness cuts us off from things, but deafness cuts us off from people”. According to the National Institute on Health (NIH), approximately 15% of American adults (37.5 million) aged 18 and over report some trouble hearing. Among adults aged 70 and older with hearing loss who could benefit from hearing aids, fewer than one in three (30 percent) has ever used them. Even fewer adults aged 20 to 69 (approximately 16 percent) who could benefit from wearing hearing aids have ever used them. An Audiologist is a healthcare professional who specializes in the diagnosis and treatment of hearing loss. They work in hospitals, clinics, ENT offices, school’s universities, industry and private practices. Audiologists are hearing healthcare professionals that have a masters or doctoral degree. Currently new graduates must possess a doctoral degree or equivalent (defined as minimum of 75 semester hours of graduate study including specific course work) from an accredited educational program recognized by the state licensing board. Not all hearing health care providers are audiologists nor do they have the same level of education or training. 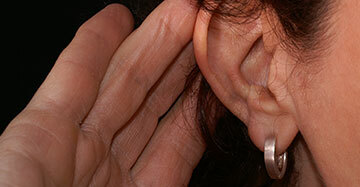 Hearing instrument specialists also sell hearing aids. 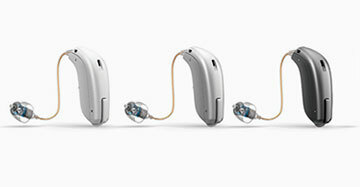 Hearing instrument specialists are limited to testing hearing for the sole purpose of fitting hearing aids. Unlike Audiologists they are not allowed to perform diagnostic hearing evaluations, balance assessments, electrophysiologic assessments, or tinnitus evaluation and treatment. Hearing instrument specialists typically work in retail settings. They must be 18 years of age or older, be a high school graduate (or its equivalent) and have passed a written and practical exam. Look for an Audiologist in a well-established business setting. Ask for recommendations from friends, family members, and your primary care physician. A good Audiologist should be well respected within the healthcare community. They are well educated, companionate, and should place emphasis on your specific needs. Every individual perceives sound slightly different and every individual has very unique needs specific to them. If you or a loved one is suffering from hearing loss or balance issues, please allow our highly trained and compassionate Audiologists here at Allied Hearing and Balance Center to help with your hearing and balance needs.